Fans of The Legend of Zelda can now smell the part as they navigate the kingdom of Hyrule, thanks to a new fragrance set inspired by the video game franchise. 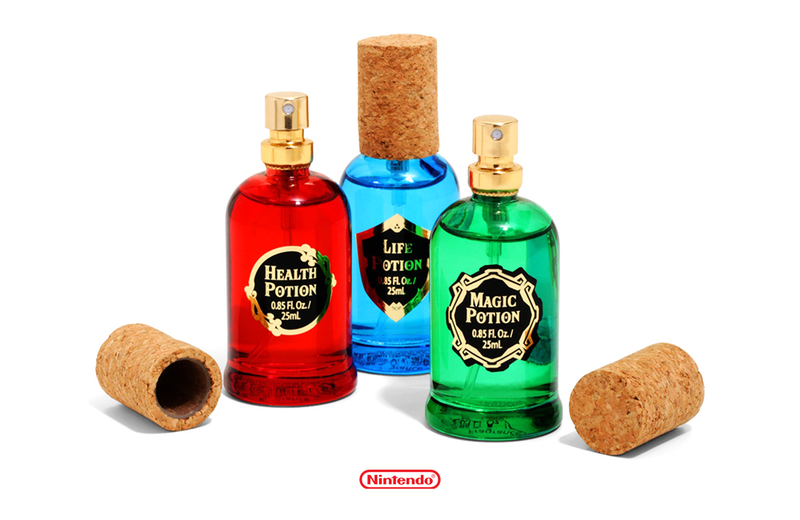 The set includes three scented “potions”: Health, Magic, and Life. The spray bottles are 0.85 fluid ounces each, in red, green, and blue. The Health potion is described as lemon blossom note, lotus, freesia, and dew drop middle notes, with a woodsy base note. Magic’s top notes are ginger and lemon, middle notes are cardamom, mandarin orange, mind, and copaiba balm, and base notes are sandalwood, cedar, and musk. Life contains mint leaves and lemon top notes, jasmine, peony, and pink pepper middle notes, and cedar, yellow sugar, and labdanum base notes. The three-pack is priced at $24.90 USD and is available from a variety of online retailers. Big G Creative’s Happy Little Accidents is a “positive party game” inspired by the chill and wisdom of Bob Ross, the legendary painter and host of the PBS television program The Joy of Painting.